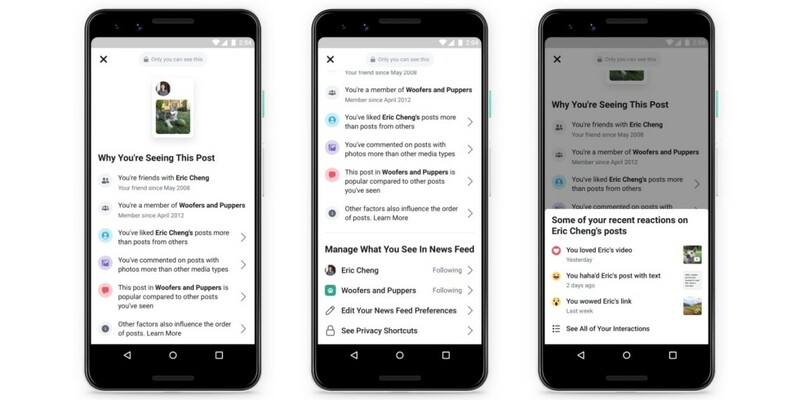 Facebook took steps to give its users more clarity about how it decides what goes into their News Feeds, introducing a “Why am I seeing this post?” feature and updating its previously existing “Why am I seeing this ad?” feature. “Why am I seeing this post?” is now available via the drop-down menu in the top-right-hand corner of Facebook posts, and it is aimed at giving people a completely picture of why that specific post appeared in their News Feed. Users will see why they were served that post—for example, if the post is from a friend, a group they joined or a page they follow. They will also see an explanation on what information has the most influence over the order of posts in their News Feed, including: how often they interact with posts from people, pages and groups; how often they interact with specific types of posts, such as videos, photos or links; and the popularity of posts shared by their friends, the groups they belong to and the pages they follow. The drop-down menu will also include shortcuts to controls enabling people to customize their News Feeds, including See First, Unfollow, News Feed Preferences and Privacy Shortcuts. Facebook introduced “Why am I seeing this ad?” in late 2014, and it has provided information on how a user’s basic demographic details, interests and the websites they have visited determine which ads they see in their News Feed. Now, additional details will be included when information on an advertiser’s list matches a user’s Facebook profile. 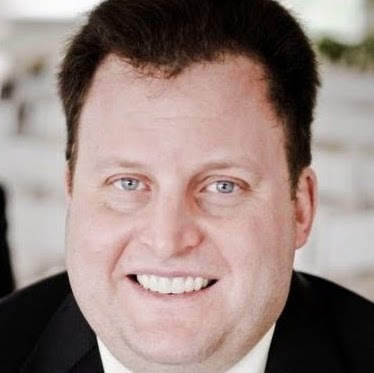 Sethuraman wrote that businesses can reach customers by uploading information they already have, such as emails and phone numbers, and Facebook tries to match ads to the most relevant audiences without revealing any identifiable information to the advertiser. 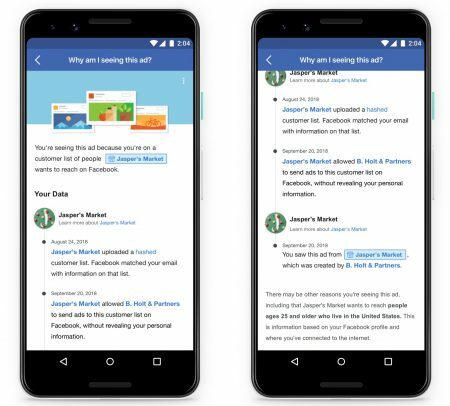 She added that “Why am I seeing this ad?” will now also include information such as when the advertiser uploaded its customer data and if that brand worked with another marketing partner on the ad.